The Lincoln Navigator receives a full update this model year. The SUV's new features include new front and rear styling, a more powerful turbocharged V6 engine and an updated interior. Keep reading our 2015 Lincoln Navigator review to discover all the great features and amenities offered on this popular luxury SUV in Grapevine. The 2015 Lincoln Navigator is a large SUV that seats up to eight passengers and holds up to 103 cubic feet of cargo; all in style, of course! Drivers looking at the 2015 Lincoln Navigator in Grapevine will find several excellent luxury features on the car, including 20-inch alloy wheels, front and rear parking sensors, rear privacy glass, keyless ignition/entry, dual-zone automatic climate control, power-folding running boards, automatic wipers and xenon headlights. The SUV's newly refreshed interior boasts leather upholstery, heated and ventilated eight-way power front seats, driver memory settings, a tilt-and-telescoping steering wheel, a 14-spealekr surround-sound system, satellite radio, a navigation system and a review camera. Choose the next level Navigator L trim if you're in the market for an even larger SUV, as the car comes with an extended wheelbase that increases cargo room to over 128 cubic feet. Also new for this model year is the Navigator's 3.5-liter turbocharged V6 engine that replaces last year's V8 powertrain. The new V6 produces a healthily 380 horsepower and 460 lb.-ft. of torque, which gives the large SUV a quick and sporty driving feel. The powertrain is completed by a six-speed automatic transmission and a rear-wheel drive system (a four-wheel drive system is optional). As a top family SUV, our 2015 Lincoln Navigator review in Grapevine found some terrific safety features on the SUV, including font-seat side airbags, three-row side curtain airbags, a post-crash alert system, stability and traction control and antilock disc brakes. Drivers will find blind-spot monitoring, rear cross-traffic alert and Lincoln's MyKey Teen Driver system also come standard on the SUV. For more information about the 2015 Lincoln Navigator in Grapevine, fill out our contact form or stop by our showroom and take this fantastic family SUV for a test drive today! In a variety key areas, the 2015 Navigator ranks above other vehicles in its class like the 2015 Infiniti QX56, Cadillac Escalade and the Mercedes GL Class. The Navigator's got several appealing characteristics, including its advanced features and exquisite exterior design. Hundreds of LINCOLN drivers choose it because it's a phenomenal value; just compare its price to the forementioned vehicle options. Scan the Navigator bullet list under this paragraph for more quick facts. Grapevine Lincoln is a trusted resource for information about the 2015 LINCOLN Navigator - for reviews of earlier models please view our sidebar links. 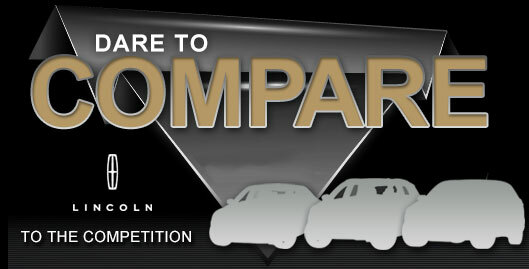 We are a premier LINCOLN dealer in , and it's our obligation to serve you with reviews recorded by some of the most exceptional automotive writers in the industry. You can be confident of the information in this article to be precise and provide you with the details you need to [decide] if you want to purchase the Navigator. If the Navigator isn't suited for you, please review and compare LINCOLNs other attractive vehicles now.